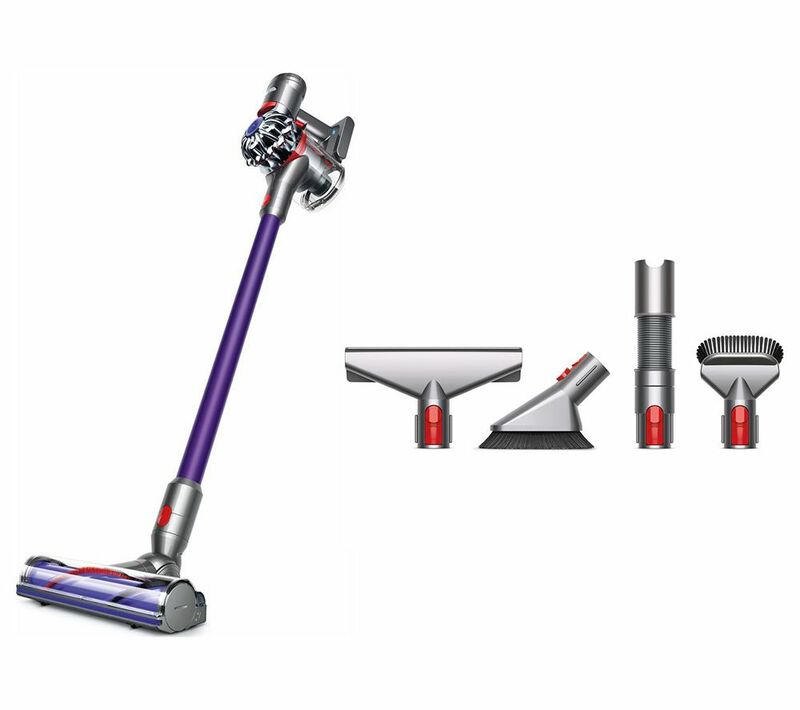 Keep your home clean with the Dyson V7 Animal Cordless Bagless Vacuum Cleaner & Handheld Toolkit Bundle. With no cord, you can easily clean all areas in your home, even the awkward spaces. The Dyson digital V7 motor provides enough power for up to 30 minutes of cleaning, so that you don't have to miss a single spot. Sucking up as much dust as a corded vacuum, the V7 Animal has 75% more brush bar power than the Dyson V6 Cord Free, and has been designed for homes with pets. 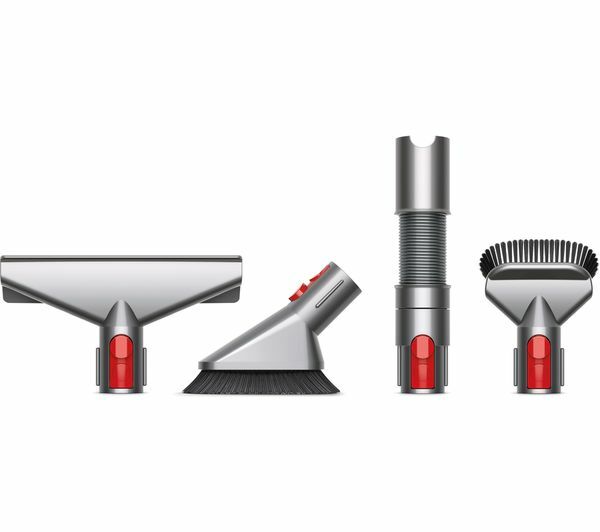 Stiff nylon bristles remove ground-in dirt, while the carbon fibre filaments remove fine dust from hard floors. 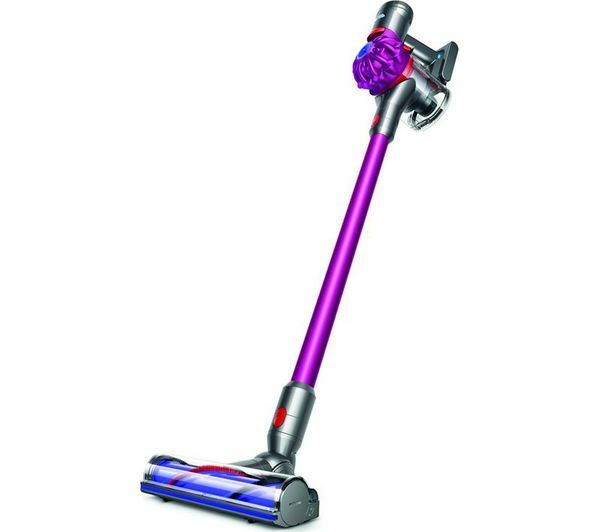 The V7 Animal Cordless Vacuum Cleaner conveniently transforms into a handheld unit, perfect for quick clean-ups, or removing pet hair from your car or in the crevices of your sofa. Complete with everything you'll need to keep your house clean, the V7 Animal comes with a combination tool with soft bristles to guide loose dirt in, a rigid crevice tool to lift grime from skirting boards and a mini motorised tool to remove pet hair and hard to lift dirt. When you're done, you can empty the bin with a single button press – the dirt ejector drives out trapped dirt and debris in a single action for hygienic dirt removal. Its also been certified allergy and asthma friendly. The convenient docking station also lets you store and charge your machine so that the V7 Vacuum is always ready to go.